Our farm is about 1 km from Prato Drava, in the Patzlein district, in a quiet sunny position near the woods with a magnificent panoramic view. 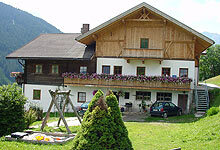 The farm is the ideal starting point for wonderful mountain hikes and cycling trips. In winter, the ski lift facilities and the cross-country trails are only 10 minutes away. Our play park is a real paradise for children. We offer discounts for our young guests: 50% discount for children under 5 years of age. 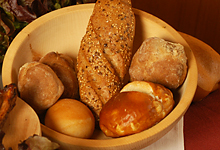 On request we shall gladly supply fresh milk and fresh bread for your breakfast. We invite you to visit our pages; we are at your disposal for any questions you may have.